When you hear the word Cambodia, what do you think of? 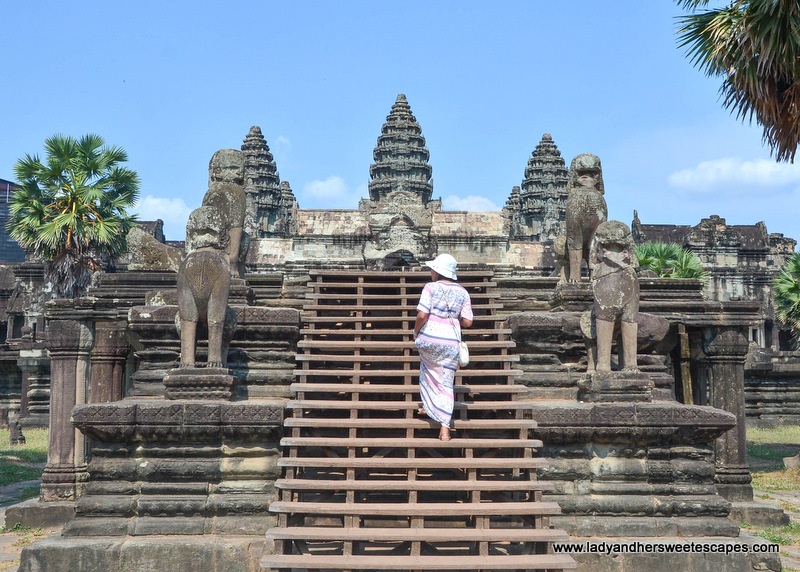 If I'm not mistaken, your mind will instantly drift to the country's most iconic temple - The Angkor Wat! The impressive world heritage site is the symbol of Cambodia; it is even depicted in the national flag! I get flashes of the beautiful Angkor Wat whenever somebody mentions Cambodia too! It has been in my travel wishlist for so long, and I was stoked to finally able to tick it off during our recent trip to Indochina. 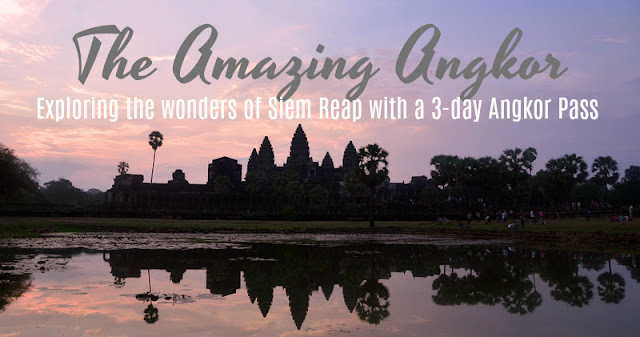 Right after visiting Hanoi, Ed and I flew to Siem Reap - all because we wanted to see the Angkor complex. 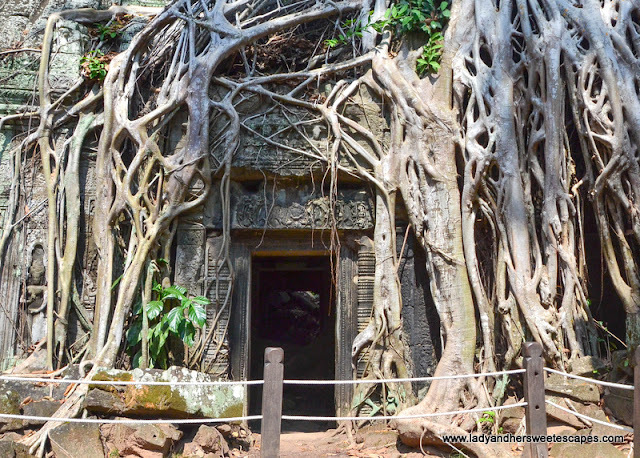 Little did we know, apart from Angkor Wat, there are plenty of must-see temples in the Kingdom of Wonder, and they are scattered across Siem Reap's lush jungle! Thinking about visiting several temples can be a little overwhelming. I am really grateful that we received generous assistance upon arrival in our budget accommodation. We stayed in Diamond D'Angkor Boutique, and while checking-in, the front desk staff answered almost all questions that were running in my head. The temples are far off the town center. Angkor Wat is about 20 minutes by tuktuk, so don't attempt to reach it by bicycle unless you are used to long-distance cycling! We paid 15 USD on our first day (morning in the city, afternoon at the temples in small circuit). Our second day tour was longer; hence it costed 25 USD. 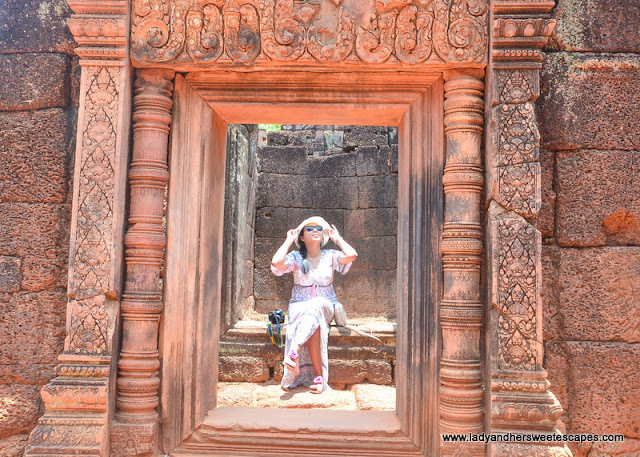 It included sunrise trip to Angkor Wat, travel to Bantaey Srei which is an hour away from the main Angkor complex, then back to Angkor Wat in the afternoon. Tip: Take note of the color and the number of the tuktuk you rented! Take a photo if you must. This will help you in identifying your ride as there will be lots of them, and they're almost identical, outside the temples. 2. 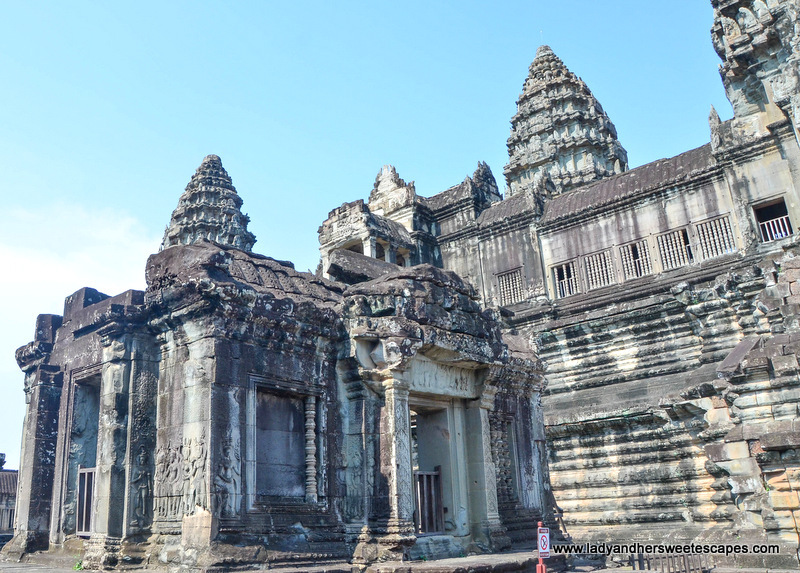 Secure an Angkor Pass. 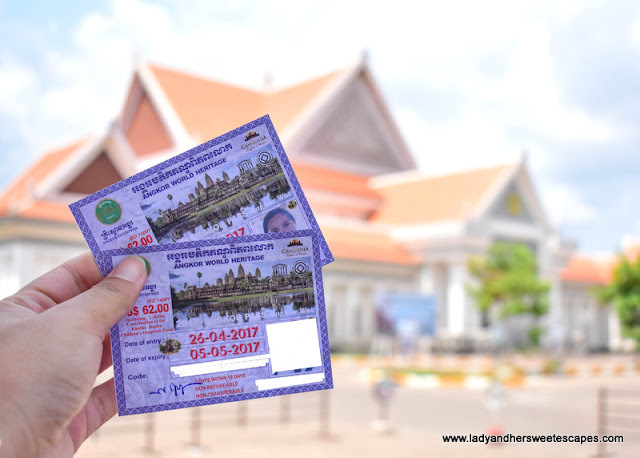 Before heading to the temple complex, our tuktuk driver took us to Angkor Ticket Center where all visitors must purchase an Angkor Pass. There are 3 types of passes: 1-day pass for 37 USD which is valid only for one day visit, 3-day pass for 62 USD which grants 3 days access in a week, and 7-day pass for 72 USD which is good for 7 visits in one calendar month. 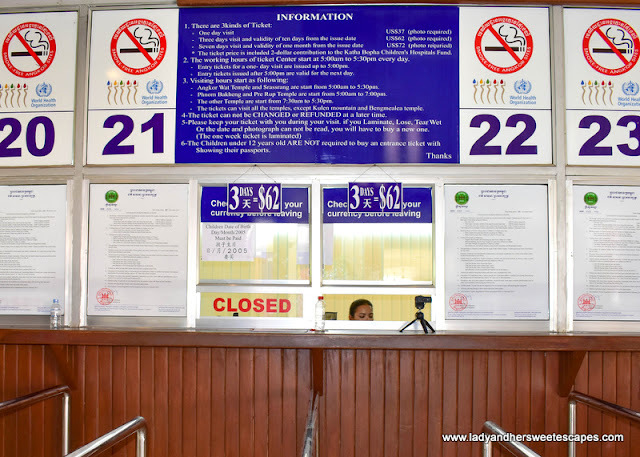 Ed and I already decided to get the 3-day Angkor Pass beforehand; hence, we quickly asked for it over the counter, paid the amount, and got our ID photos taken. Our passes were handed over to us in roughly 10 minutes! 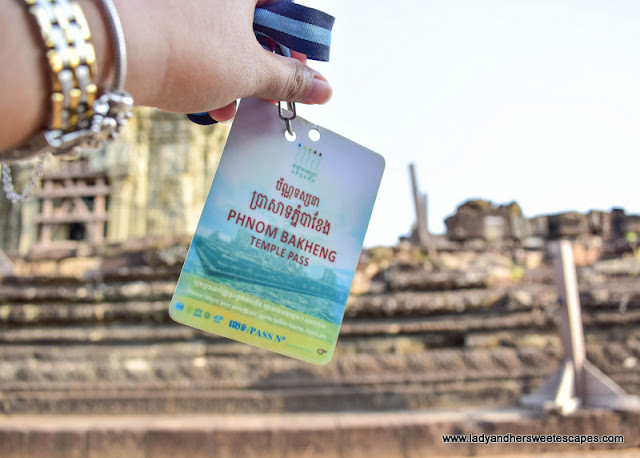 Tips: The Angkor Pass is an identification card which will be your ticket to the temples you are dying to see, so don't ever lose it! There are several checkpoints before entering the temples. To save time, always have your pass ready. 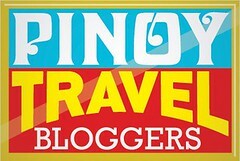 I saw other tourists wearing it as an ID around their neck. Bringing a plastic sleeve and a lanyard is quite a good move especially for the forgetful ones. Look for the counters offering the Angkor Pass of your choice. These two are for 3-day Angkor Pass. Tuktuk = Check! Angkor Pass = Check! Now, are we ready to explore? No, not yet! 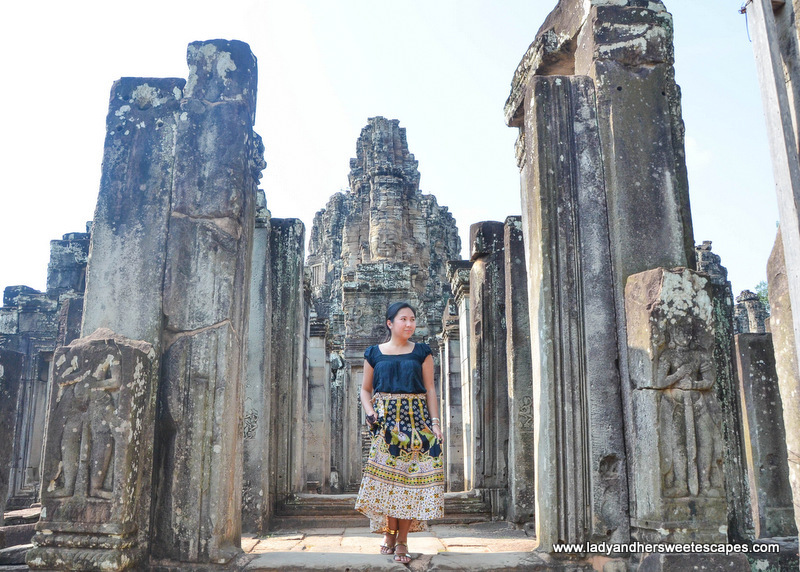 We were reminded several times to dress modestly when visiting the temples of Angkor. They also told us to wear comfy footwear as we will be climbing steep stairs. I brought a scarf that I used as a cover up when it got chilly at sunrise. And since there are lots of mosquitoes in Siem Reap, a small mosquito repellent spray came in handy. Bringing bottled water is also important especially during summer, but we didn't have to worry about this as our tuktuk has a bucket of ice cold water! 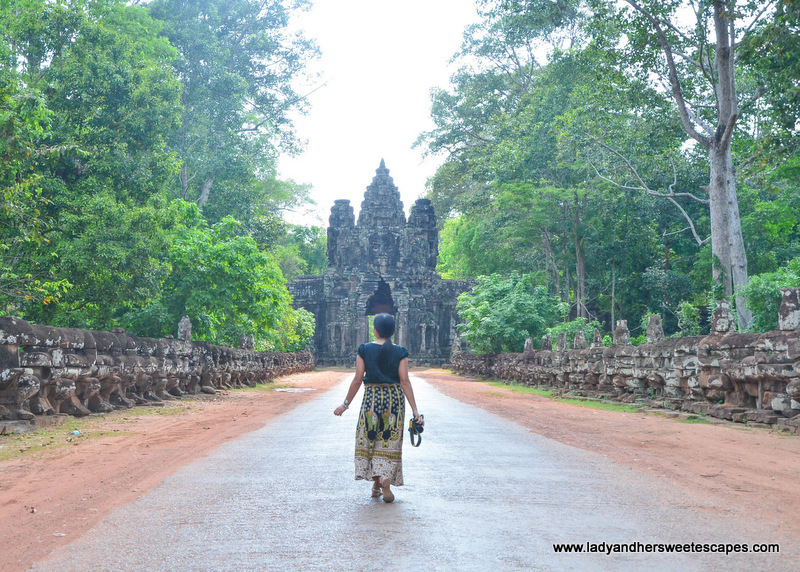 So, how did we make the most of our 3-day Angkor Pass? 1. We caught the sunrise in Angkor Wat. Ed and I are huge fans of catching the golden sunrise behind iconic structures. We have done it in Singapore and in Paris. Of course, when in Siem Reap, it has to be in the Angor Wat! We woke up super early just for it! At 4:30 AM, our tuktuk was already en route to the temple, and we arrived just a few minutes after the gates have opened. This gave us an ample time to select a good spot for sunrise viewing. Watching the sunrise in Angkot Wat is pretty much like a blockbuster show. We, as early birds, happily stood in the front row, and waited for nearly an hour for the show to start. The weather was not good in Siem Reap that week; hence sunrise wasn't as golden and magical as I expected. There was a tinge of glow behind the majestic spires, and I can only imagine how wonderful it would be on a perfect weather. Despite of not seeing a picture-postcard sunrise, starting the day in one of the most treasured sites in the world is an experience worth-keeping! The best spot for sunrise viewing is right in front of the pond. 2. 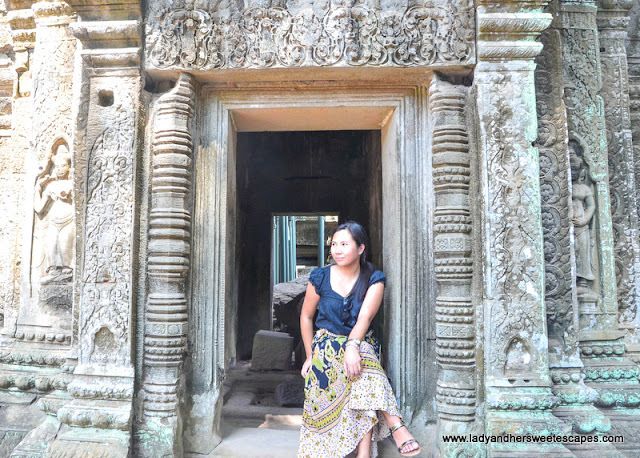 We explored Angkor Wat. #11 in my 20 before 2020 list was finally ticked off! We visited Angkor Wat, not just once but twice - during sunrise and in the afternoon to see it in broad daylight! A lot of tourists prefer to explore the world-renowned temple in the morning right after sunrise. Hotels in Siem Reap usually prepare breakfast boxes for this tour itinerary. 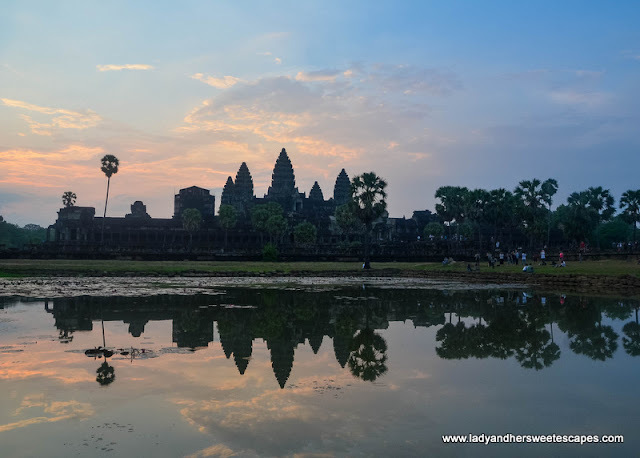 We wanted to do it as well at first, but Diamond D'Angkor's staff suggested that we could have a big and proper breakfast back in the hotel and return to Angkor Wat in the afternoon. The idea worked quite well for us. In the afternoon, Angkor Wat looks grand under the clear blue skies! This temple was built in the 12th century by King Suryavarman II as a Hindu temple dedicated to Vishnu - the god of preservation. The main structures of Angkor Wat are very much intact. We clearly saw the symbolic lotus-shaped spires, the apsaras which were carved into its walls, and the intricate bas-reliefs depicting stories of mythology and history. Follow me to Angkor Wat? #11 in my list: Be a temple raider in Angkor finally ticked off! 3. We saw the Tomb Raider temple in Ta Phrom. Featured in the famous movie Lara Croft Tomb Raider, Ta Phrom is an enchanting temple that I hardly believe could exist in real life. The ancient structure is situated in the midst of a jungle, clasped by tangled roots. Most areas were under major restoration during our visit. We saw steel bars supporting the thick roots and temple windows, and we were prohibited to walk in some areas. It was actually great to see all those restoration works because Ta Phrom could be completely crumpled by nature. It is good to know that this wonder will still be around for years and for our grandchildren to see! 4. We counted over a dozen of smiling stone faces in Bayon. 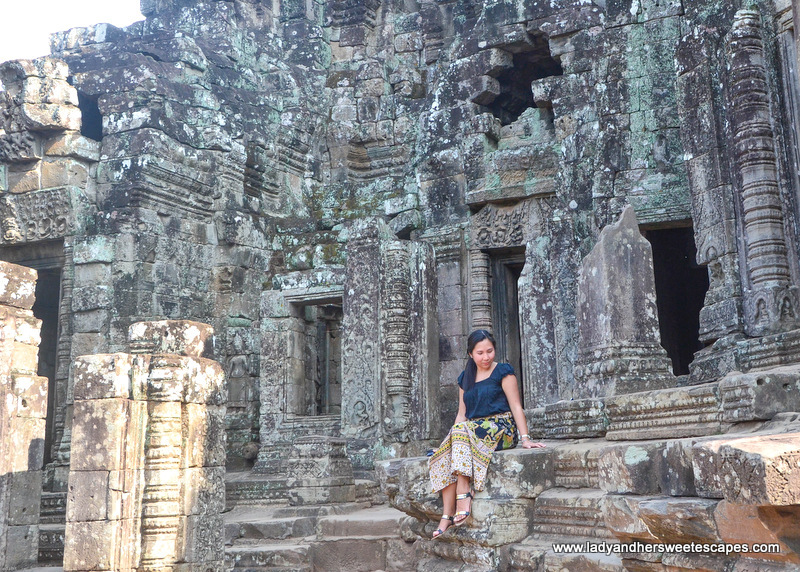 Bayon is the central temple of Angkor Thom. What made it distinct from all the others are the huge stone-carved smiling faces. There are 216 of them, but we only saw a few on our short visit! These faces are images of Avalokiteshvara. The first smiling face that caught our attention was the one that is on top of the main tower. It seemingly gave us a warm welcome in the temple courtyard. Others we found along the edges, like they are guarding and watching over the jungle. 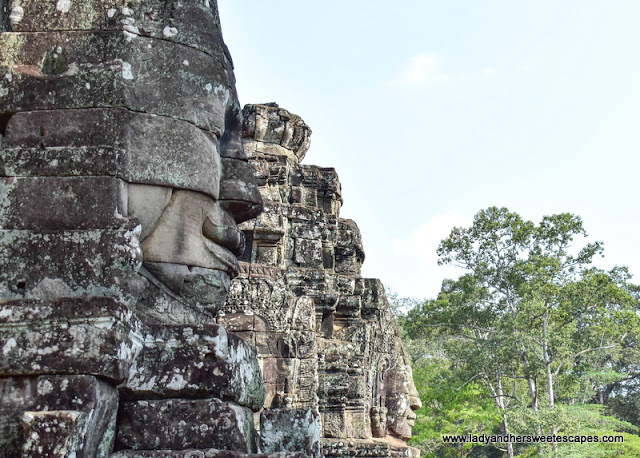 These friendly giant faces are very interesting and have made Bayon one of the most visited temples in Angkor complex. I felt so tiny in this massive temple complex! 5. We passed through the majestic gates Angkor Thom. 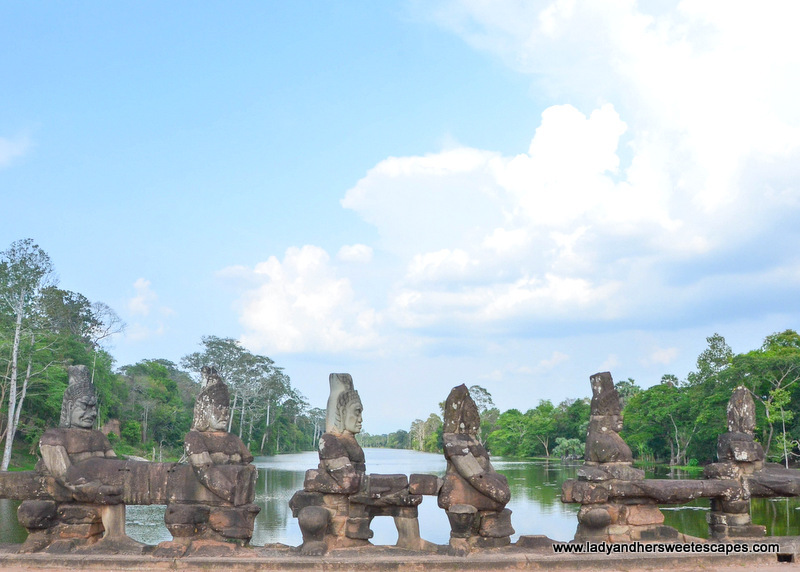 Angkor Thom, the last capital city of the Khmer empire, is enclosed by a wall and protected by a moat. The walls have five monumental gates; one gate in the middle of each wall and an extra in the Eastern wall. These gates are massive, and just like the temples they keep, they have their own stories to tell! Seeing one of the gates for the first time sent shivers down my spine. We had to ask our tuktuk driver to pull over! It is so beautiful and richly-designed. 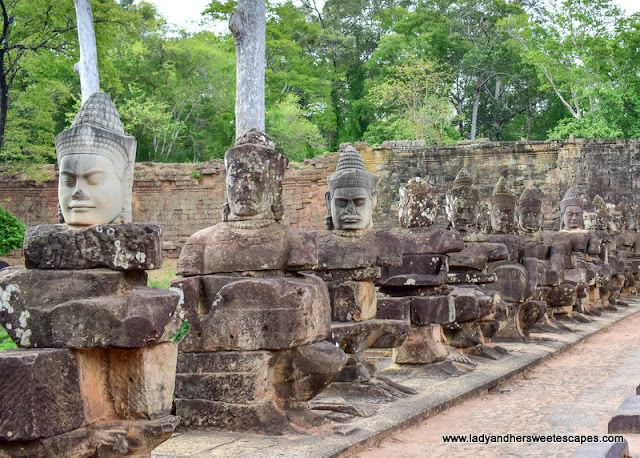 The causeway leading to the gate is lined with guardian deities as if they are guarding a treasure. This made me more excited to see the wonders hidden behind those walls. 6. We went off-the-beaten track and visited Banteay Srei. 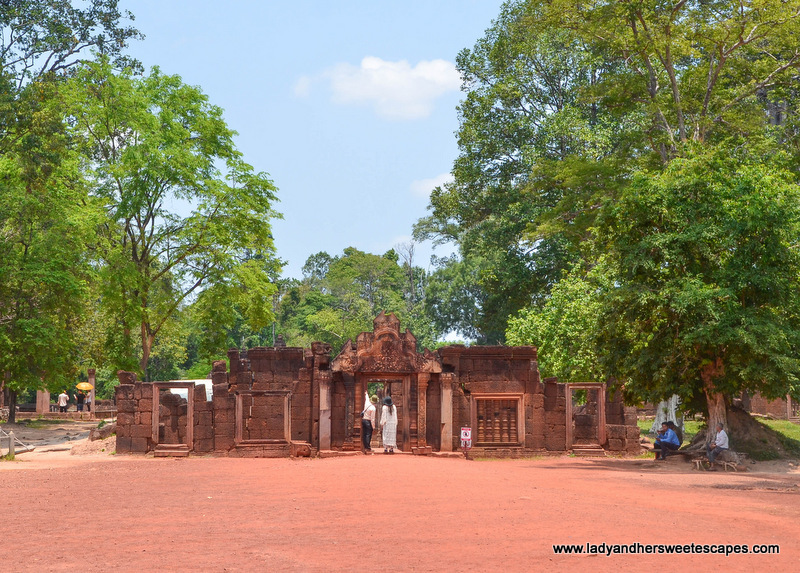 Located an hour away from Angkor Wat, Banteay Srei is an off-beat destination worth visiting! It is a unique Hindu temple made of red sandstone. 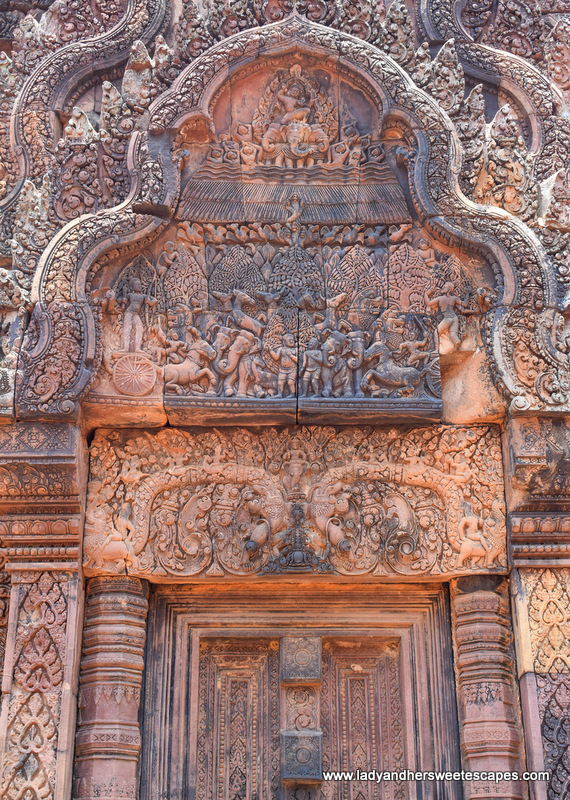 Known as the Citadel of the Women, people believe Banteay Srei was built by women because of its intricate three-dimensional carvings. Outside, the temple may look underwhelming because it is small in size. But as soon as I saw the details up close, I realized it is worth the long journey. I am actually considering it as the most beautiful temple in Siem Reap because of the elaborate and well-preserved carvings and the distinct reddish hue. 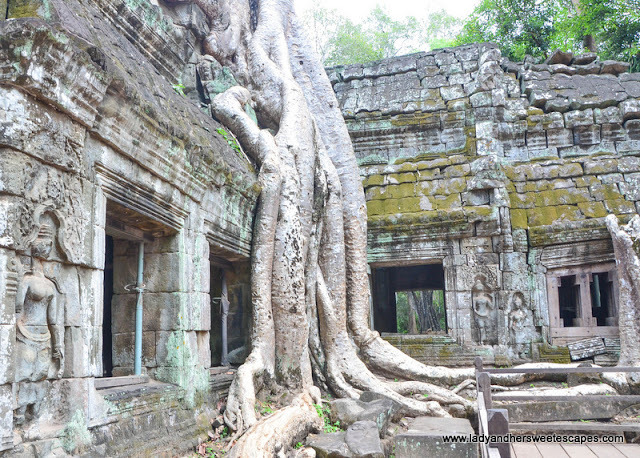 This is an off-beat destination that shouldn't be miss in Siem Reap! 7. We watched the sunset in Phnom Bakheng. Say sunset and your tuktuk driver will immediately take you to Phnom Bakheng; a temple located on top of a hill! Although sunset was at 6:30 pm, our driver insisted to take us there before 5:00 pm. I'm glad we listened as we had to hike for about 30 minutes (depends on your pace) to the sunset viewing area. Only 300 visitors are allowed to go on top of Phnom Bakheng. We were lucky to arrive before they ran out of temple passes! Minutes before sunset, we saw the long queue at foot of the temple. Those people will have to wait for the visitors to exit, which is quite impossible as all are there for the golden hour! The hike was quite tiring, and the wait under the humid weather was even worse. But in the end, we reap what we sow! 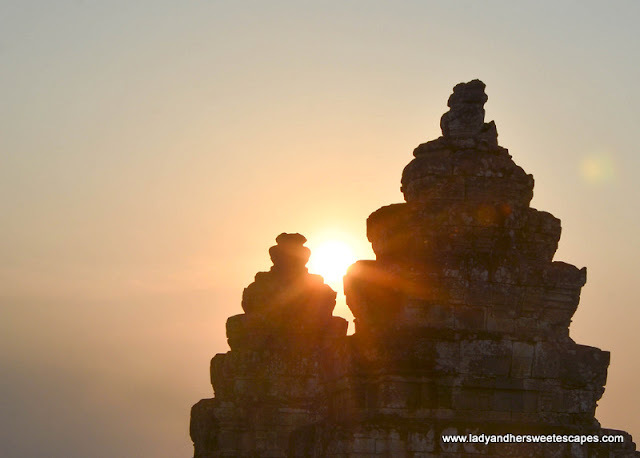 As the sky turned gold, the sun slowly hid in Phnom Bakheng spires and bid farewell in Western Baray. It was dramatic. And the long day of temple-hopping comes to an end, dramatically, in Siem Reap! 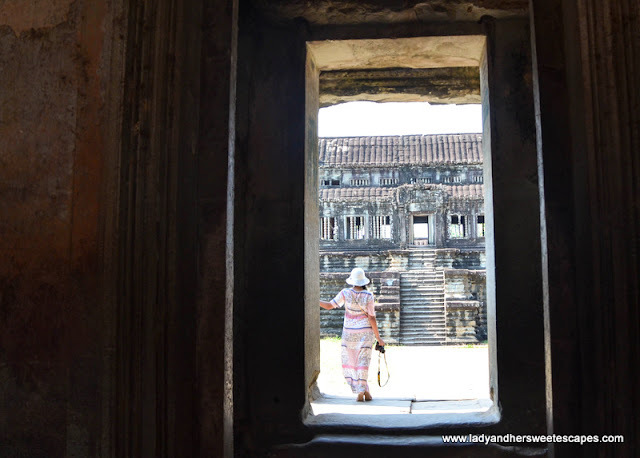 Have you been to Angkor Wat? How did you make the most of your Angkor Pass? What are your favorite temples in the Angkor complex? Drop a line in the comment section below.